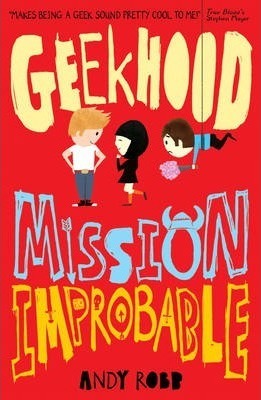 A warm, witty tale of being a teenage geek, Geekhood captures the awkwardness of being a teenager perfectly. Geekhood has won huge acclaim and deserves a place in the heart of any teenager with even slightly geeky leanings. "A deliciously tender story that wittily captures the ecstasy and agony of being a teenager." Julia Eccleshare, Lovereading4kids. "This book makes being a geek sound pretty cool to me!" True Blood's Stephen Moyer. Andy Robb was born in Devon. Once he realized that he was too short to be taken seriously as a costumed hero, he decided to spend as much time as he could playing make-believe. After training as an actor, he went on to appear in plays, TV dramas and films. Andy lives in a house boat on the Thames.